We heard you were talking about taking a vacation from those boring flavors you’re bound to. So, we thought we’d point out that this delectable dessert envelopes the tangy taste of fresh key limes into smooth, creamy cheesecake. 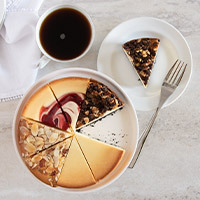 As if that didn’t sound delicious enough, it’s topped with a delectable, light crème, making a dessert that you’ll want to run away with. The reviews were all 5-star ratings and now they are sold out. The recipients enjoyed it, for sure. I asked customer service to call and see if they were home on the delivery date and get back to me. He did not return my call. This is good business, not only to check the date but to confirm it with the customer. Also, I suggested they list the weight. 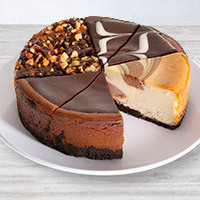 I believe it was significantly more than all the other companies' cheesecakes I viewed online. This too would be beneficial. 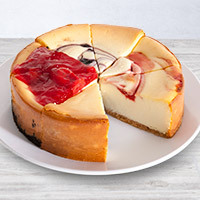 I've tried several cheesecakes from Gift Baskets. They're all delicious. 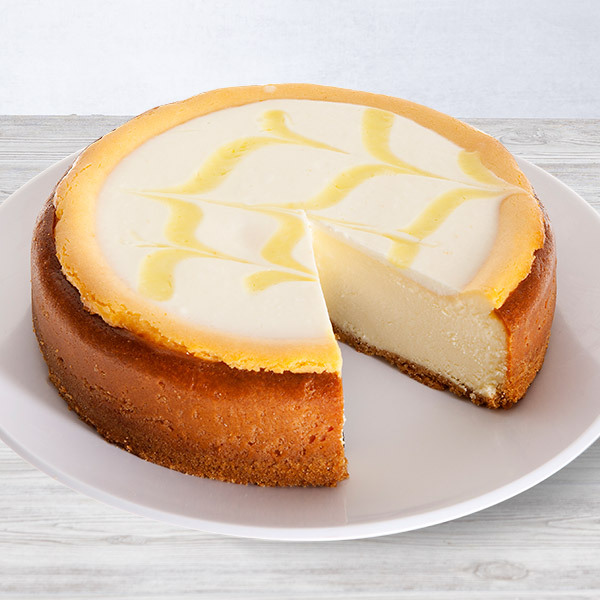 This one has a refreshing lime flavor, but I still like the New York cheesecake the best. I personally did not taste the key lime cheesecake. It was a gift to my son and he said on a scale of one to ten a definite TEN! He highly recommends it.